Arc Welding Reels – Hannay Reels, Inc.
A welding reel has a feature where a latching device where hold the hose in place to prevent retraction. The welding reel also extends the service life of the hose itself due to the hose not becoming damaged as frequently. The welding reel is designed from a hose reel which are products manufactured to mechanically or manually wind different types of hoses. These products will generally use pneumatic, electric, or spring power to control the device. The driving mechanism is enclosed inside to the welding reel to protect it from outside conditions as well as insure a long service life for the retracting feature. What is interesting about this device is that it utilized very few components overall which is great for maintaining the equipment but also a well-maintained welding reel will have extremely limited leakage. Gas Welding Reels – Hannay Reels, Inc. This product is known for significantly reducing workplace accidents by easily keeping the hoses and cables organized properly and safely. Another important safety feature is regarding leak prevention. Reliable O-rings are required to avoid any gas from leaking as well as to prevent unwanted materials entering the hose. An independent dual swivel can be incorporated into the body of the welding reel for positive separation of the gases. Since the welding reel can be mounted to essentially any surface this provides improved efficiency as the hoses can be stored away until they are needed and then the user can easily access the hoses. 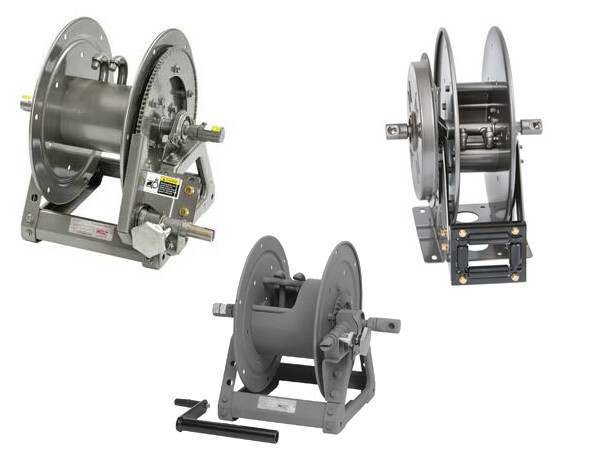 Often times the welding reel is equipped to handle two vulcanized line hoses. The rubber hose has flame as well as oil resistant properties. The guide arm is quintessential for proper function so this component is manufactured from a reinforced steel. 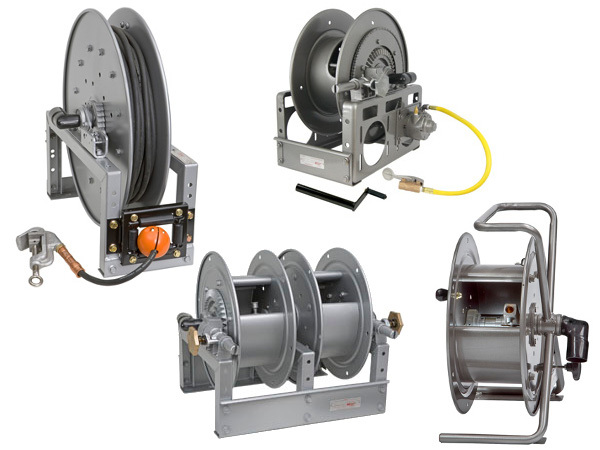 When purchasing a welding hose reel there are a number of aspects to consider. One of the first consideration is if the welding hose reel should be designed for hand crank or spring retractable capabilities. Welding Reels Welding reels allow for a very smooth operation when welding. These products can be engineered from different materials and even hard coated for increased durability. Consistent performance is a key factor for welding reels due to the nature of the application so welding reels are most commonly made from steel opposed to plastic or fiberglass.